Printers are must for any business be it a small or Large. Being a small business you need to make that your printer suffices all your office requirements such as High-speed printing, Scan to email, Fax and copy. Depending upon your business, you also need to figure out how many copies you would need to print per month. You need to make sure that the printer you’re looking for your business has all the required features. For example, if you’re looking for high-speed printing, the PPM or the page per minute should exceed 30 pages per minute. Likewise, if your business demands a lot of scanning, you might want to have a dedicated high-speed scanner which will make your scanning task easier and faster. These small business printers are good for any business looking for standard printing, scanning or copying. But if you are looking for high volume printing, you might want to go with a copier which offers amazing printing scanning and copying features but the price is on the higher side. If however, you cannot afford to buy a copier, you can also go for a lease option where you can get a big multifunction copier by paying a fraction of the cost of the copier on a monthly basis. You don’t have to worry about the Printer repair or maintenance as that is covered by the copier lease company. This Digital wireless multifunction printer is an ideal choice for the small business looking for a fast, reliable color all-in-one with duplex (two-sided) printing. Compact design is packed with big business features like a 3.7″ color touch screen and wireless networking. Print and copy high-impact color and crisp black documents at up to 23 pages per minute with up to 600 x 2400 dpi resolution as well as fax and scan with up to 19200 x 19200 dpi. 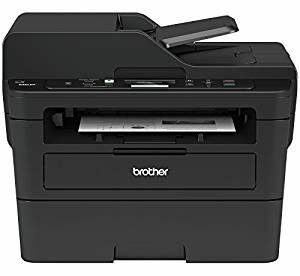 You can also wirelessly print from your mobile device via AirPrint, Google Cloud Print, Brother iPrint&Scan, Cortado Workplace and Wi-Fi Direct. Built-in wireless and Ethernet network interfaces install on a wired or wireless network or connect locally to a single computer via USB. Use the Secure Function Lock feature to restrict color printing for up to 25 users. MFC-9330CDW printer also offers USB Direct Interface, 192MB memory, 33.6Kbps Super G3 Fax Modem, 35-page auto feeder and 250-sheet input tray. Energy Star qualified.